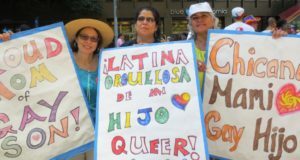 Oakland Pride is back and Somos Familia is going to be there, we hope you will too! Somos Familia will be part of Oakland Pride on September 9th and we are hoping to have as many folks as possible to be part of the Somos Familia contingent. We will meet at 10 am at the corner of Clay & 14th.